Morning, Happy JuiceBuds. Who's around rebooting? We had a family talk last night and it's time. My whole family is rebooting again starting today, though we're not going juice-only yet. Call it a re-focusing to maximize nutritional content of everything, including juice added. Transition mode. Cruciferous salads and soup, ETL style eating. GBOMBS. Everyone had weighed in. I started a new ticker with a starting weight and I hope they did, too. Will track it. Juiced yesterday. We have 17 servings of carrot/beet/cuke/celery juice in the fridge for my dh and I for these three days. ( That is divvied out or has been at 3 to 4 servings/day for me and 2/day for him right now. I may share some of that with my ds who is just starting to add juice back in to his plan this week. Won't juice carrots again until Thursday. This morning, I added a green juice I made on the fly and it sure was good! Just made a sorta green lemonade on the fly with what I grabbed -- red dandelion greens, parsley, lemon, apple, cukes. Split it between the three of us. I think I'm freeing up so I can start juicing more daily or on the fly. Feels good. I don't care for ginger in the mean green. But have put it on my list to juice some ginger root and store the juice so we can make gingerale beverages as desired. All last year I kept the fridge stocked with this but I have not juiced ginger in a while. I have to go to a social function tomorrow night and think I'll take a bottle of soda water, ginger root, and stevia so others can try this out. I am really craving juice today! I'm rebooting, just not so much around at the moment. I will be juicing for 10 more days, then I'm transitioning back to food just before my 1 month holiday. I love how all of your family reboots together. I bet it is a lot of work preparing so many servings, but it's easier to juice in ckmpany isn't it? Happy juicing! I’m Rebooting and going for 50 days. I weigh in front of my husband (gasp!) every Saturday and I am 15 days in I am down 14 pounds. I’m feeling good and have lots of support. I’m currently working on 3 commissioned paintings so have not been checking in here and feel I’ve missed out.....I will do better. Happy juicers,i am doing well,busy roaming around meeting interesting people.one has to , ok ,i need to let life open up to me. I eat raw fruit plate for breakfast,and a plate of raw veggie salad a must for lunch.i can only aim for not putting on weight,the saprrows are calling,so is the mountains ,i need to make the most of this place,though a nature lover and love long walks in the woods,i live in a concerete jungle.so i need to make the most of my time here.HAPPY FEET,me, is staying true. Leslie,i like the youtube version cause the comments are hilarious,one of which is,"who all are watching this video when we are supposed to clean our rooms,now".lol. iamFIT I will have to watch some of those videos sometime when I am not busy! I did watch the first ones on television and I did clean out all of the closets in the house and my dressers as well. I can't believe how much I had to donate I filled up the back of my SUV 4x and went to Goodwill! I heard that they are getting lots of donations since the show began! Books are next and it is supposed to rain this week I am eating a late lunch then back to the garden to finish planting a rose bush and a few sea holly plants and whatever else I have in my wheelbarrow. It is beginning to rain so I need to get that done! Morning, Happy Juicers! I woke really craving the fresh taste today, as soon as I got up. Plenty for tomorrow, too, a juicing day. It's my husband's bday. We will plan a day puttering around, his choice. No pressure. I will see what I can do... Just Sprouts for juicing produce for tomorrow. He has a social occasion this evening but I am staying home. I will be tuckered out by then! Birthday presents are hard when we've already got too much stuff to our names. I had a brainstorm last week. He had been mentioning for weeks that he needs to repair the bluebird houses out on the fences. So as I was driving by them on the tractor (when did we mow -- two weeks ago at the end of all that rainy season? ), I noticed they really are getting beyond it a bit. What a cute bird Soose! Thanks for picture. I know what you mean about choosing gifts when there is nothing we need. You did a brilliant thing with the birdhouses—unexpected and thoughtful. i luv blue birds. so sad there are fewer songbirds. so when i see one i feel like it's a special day. i get a yellow finch couple who visits for a few weeks in the late spring. hope they come back this year. Okay, I have spent my time on the juicing challenge for beginners list answering a new rebooter and will have to come back later. I need to go launch my dh to work... I was off the computer for a bit - not making it as far as my desktop, so I missed this posting and reading! But I did get Joe's email newsletter yesterday. Can I suggest publicly, since they're doing a site "rework" that it might be good for those of us who want to remain in contact but don't do facebook to have an email contact for emergencies if the site goes down and we can't get on here? Click on my name and I am collecting emails privately. I'll send you my gmail, also privately, and you can add your own email to my list in case... I am a careful person at my age, lol. I won't use the email unless you tell me to and unless the site breaks. HTH. So, I did not sleep well the other night and ended up sleeping in because of it. I was supposed to make my juices in the morning, however I did not get out to walk/run until late and it was after noon by the time I got home and I was hungry! So I started my day with a banana instead then made a vegetable snack an hour or so later and dinner was a cauliflower vegan pizza, and salad. I am still in the midst of spring cleaning My sister was telling me about Maria Kondo and her netflix series Tidy up. She explained her method which begins with clothes. You take all of your clothes out of the closets and pile them on the bed. It is a shock to see how much you actually have! Then you look at each piece of clothing and decide if it gives you joy, and if so you can hang it back up, if not you thank it and put it in the donate or discard pile. I did my closet and dresser the first day, it did not take me that long though I had a lot of things to donate, many clothes I never wore that still had tags on them. I hope that someone else will find joy in those items. I emptied out my daughters closet yesterday, Just a few clothes and our wedding dresses. I left the dresses in there, and filled a big box with clothes to donate. I found a big bag of VHS tapes many of which were not labeled. I had dug out a VHS player from the office to watch old VHS tapes on about a month ago, so I will go through all of those another day as clothes are first. All of my old home videos are going on flash drives which I can plug in to a computer or take and plug into a smart TV to watch with the family.The old videos my parents had are now all on flash drives so each of my sisters has memories, and it is not hard to do either so fast in fact! So, I am heading back to that room to finish up, it should just take about 30 minutes to clear all of the rest of the items out. Next step is books, however I got rid of a lot of books a few years ago and use a kindle now, so I guess i should let go of the school books that I bought when I went back for my degree a few years ago. That will clear out an entire trunk! I have very few physical books so this will be an easy task. 3rd task is papers, and i cleaned that out when we did our remodel 3 years ago, and we each have small areas to keep papers so that will be a snap! It is the miscellaneous things that will be more of a challenge, the Garage, my art and craft area are the worst! Too many projects to do too little time! The 3 bathrooms, the laundry room, the hall closets and cabinets! It will be a blessing to have all of it tidied up! wow Marie kondo, i was wondering why nobody was talking about it here. seriously i loved her youtube.i also purchased the book "Spark joy",yet to read and act on it lol.the way i see this in by juicing , i am marie kondoing(my own term) my body.i would have to give up some furniture and get some cupboards, chest of drawers now.as of clothes , even i have too many from impulsive online buying.cannot do anything now, but i have to hit the book and tidying up when back. I, too, am a fan of Maria Kondo!! 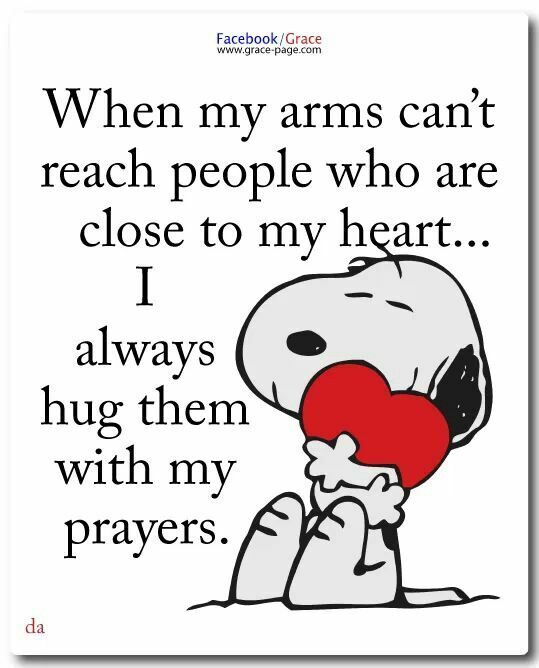 Hugs and prayers for you too iamFIT! hello all, so all are doing fine with juicing, in a way juicing is easy, i men the prep of juice is tough, cleaning chopping, running to grocery stores 2 or 3 times a week , and then again cleaning the mess. but when it comes to eating, one has too many choices, and while in juicies it is just juices that is, and don't have to worry about sustaining energy, because the mind is set in juices alone. Thank you, iamfit! You are an invaluable part of this gang too. Thank-you iamFIT and I pray that the universe blesses you with good help and happiness!